Hi pals! For our next potluck on July 6 we haz a 4th of July theme. Bring a dish that celebrates dis U.S. holiday. 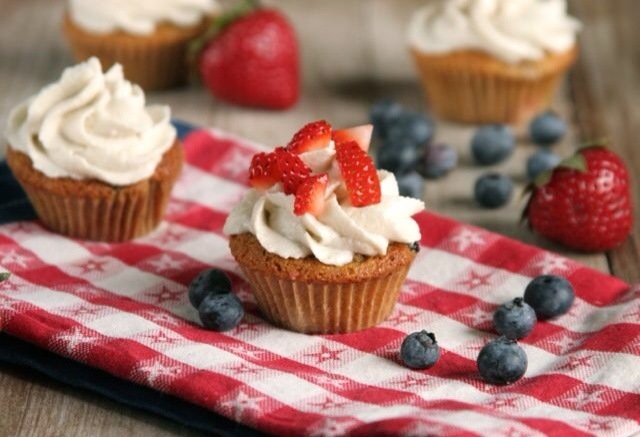 Here’s a dreamy July 4th dessert from the Daily Bites blog. Photo is (c) copyright to Daily Bites blog. This entry was posted on Thursday, July 3rd, 2014 at 10:11 am and is filed under Uncategorized. You can follow any responses to this entry through the RSS 2.0 feed. You can leave a response, or trackback from your own site.